Dwayne and Robin are somewhat of an odd couple. Dwayne is trying to make his own way, to get out from underneath what his parents want for him and find his own happiness. Robin is struggling to find his own place in the world. He's been kicked out by his mom and step-dad and finds himself in a very bad situation. Where this story goes is somewhat predictable and in the end, that's what I struggled with the most. It was that man meets man, they share their troubles, something tragic happens, and a family is sprouted. I think that's where the story went wrong for me. I didn't really see any chemistry between Dwayne and Robin – it was almost insta-lust and then a relationship happened. Overall, this was a decent story, but I found it lacking in the usual Grey chemistry and heat. I looked forward to this book since I enjoyed the other stories in this series so much, but, sadly, this one just wasn't as good to me. I loved Dwayne. He was such a good guy who always wanted to do the right thing, not just because of his job, but because it was who he was deep down. Sometimes he made decisions that were a bit out there, but they fit his big loving heart. Robin was sort of middle of the road for me. I never really connected to him because he just sort of seemed to be all over the place. Sometimes I really liked him and sometimes I didn't. He brought all this drama into Dwayne's life and while I felt like those situations are what made the relationship work, it also felt like things moved at warp speed and there was no time for them to really develop any real feelings to each other that would really support the promises they were making. All in all the story was fairly predictable, the writing was good, but I just didn't like the characters or the insta-feelings that seemed to sprout from nowhere. Not one of my favorites of Andrew Grey. 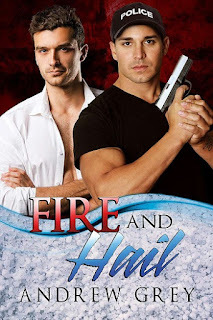 For reviews & more info, check out our Fire and Hail post. 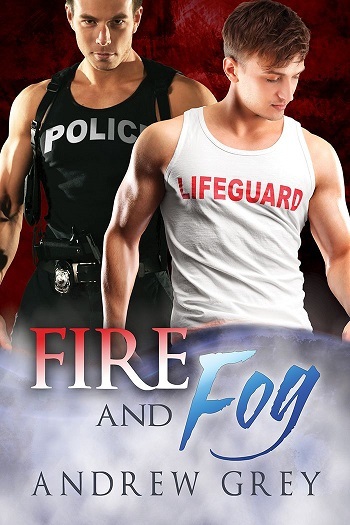 Reviewers on the Wicked Reads Review Team were provided a free copy of Fire and Fog (Carlisle Cops #6) by Andrew Grey to read and review.